Weight: 0.48 oz. 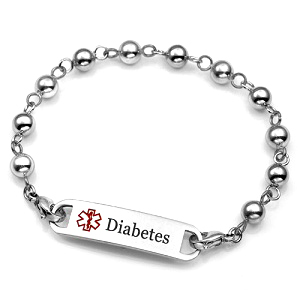 / 14 g.
This stainless beaded diabetic bracelet comes with a medical 316L surgical stainless steel engravable plaque which comes pre-engraved with red medical symbol and Diabetes in black laser on the front. 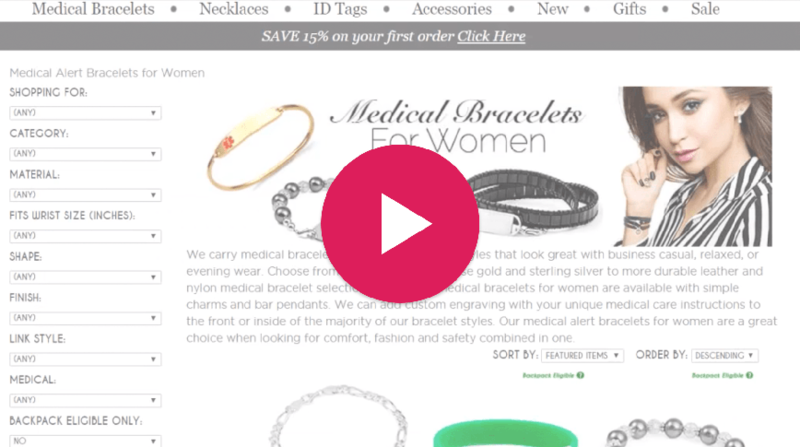 Most medical ID bracelets online are usually 304 Stainless. Although both are hypoallergenic, 316L is non-corrosive. It is also known as 'marine grade' stainless steel due to its increased resistance to chloride corrosion compared to type 304. This makes this diabetic bracelet an ideal choice for everyday wear! Fits wrists sized 6 to 6.5 inches.